As the world's oceans continue to warm, some tropical fish are getting closer to calling New Zealand's waters home. Four species of fish have been spotted at the Kermadec Islands, around 1000km north of New Zealand, for the first time. Some of the creatures caught on video during the expedition can only be described as bizarre. From a distance, a cluster of garden eels almost seem like gently moving anemones. Normally, they live in the warm waters of the Indo-Pacific - but now they're heading further south. "We've filmed about 50 to 100 [of those], so we're really excited to add to the growing list of species spotted at the Kermadecs," PhD student Lizzy Myers said. The soaring temperatures of the world's waters may be changing how and where some marine creatures migrate, scientists say - and the garden eels aren't the only ones affected. A trip with marine scientists and the Sir Peter Blake Trust also found sightings of the black trevally, a species which has never been seen in New Zealand waters before. It's usually spotted in Tonga or Raratonga. "What we're seeing here is perhaps with the La Niña weather this year, the warm water has allowed some of those more tropical species to shift further south," Jacob Anderson, programme manager at the Sir Peter Blake Trust, told Newshub. "What we might expect to see as sea temperatures warm is the fish we're seeing further north are moving from the Kermadecs and perhaps even further south into northern New Zealand. "And perhaps further south again in the future, if we continue to see warming oceans." There's an abundance of species living in the remote islands' protected waters, and it's incredibly varied. 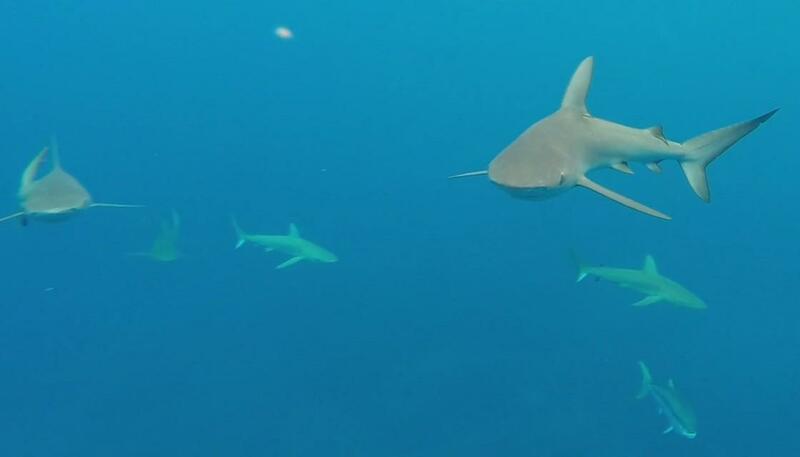 As well as the black trevally and the garden eels, rainbow runners and the sergeant major damsel fish were also seen in the area for the first time - while several varieties of shark were filmed there for the first time. Some of the new fish were first spotted by the students on board the voyage before being confirmed on camera the next day, Mr Anderson said. "It seems that every expedition that goes over the last few years, there's either been new discoveries of fish species or new observations of species that have never before been seen in the Kermadecs." A battle is already underway to preserve more of the Kermadecs, but it's faced opposition from fishing companies and some iwi. Prime Minister Jacinda Ardern has said work on the proposed 620,000 square kilometre marine sanctuary is still underway and they're planning to consult with iwi.